Pleasant Creek Ranch is nestled in the shadows of the beautiful Manti LaSal National Forest, which offers wonderful hiking, mountain biking and mountain lake fishing. The La Sal National Forest is very popular for recreation. The Wasatch Plateau area of the national forest, where the park is situated, offers scenic drives through the Huntington and Eccles Canyons National Scenic Byways, also known as the Energy Loop. These forest byways wind over the Plateau from 5,000 to 11,000 feet. 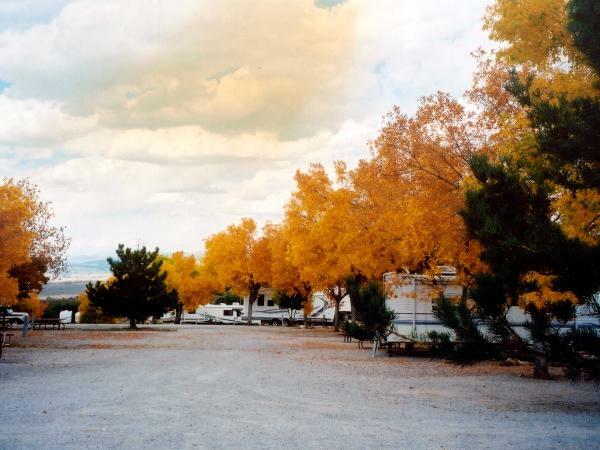 From Skyline Drive there are several high-elevation lakes and streams that feature excellent fishing and camping, and the Arapeen OHV Trail System is popular with ATV enthusiasts. The resort also features a swimming pool, hot tub, game room and café with the best ice cream. 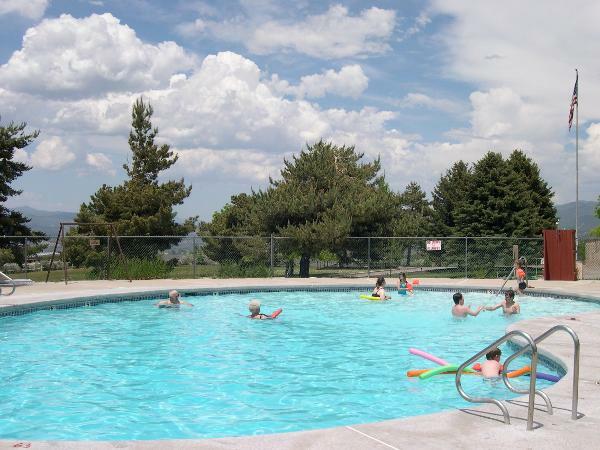 Enjoy the fresh air while swimming in the spacious heated pool or while trying your hand at horseshoes or a game of basketball. The ranch also has a fully equipped clubhouse with T.V, DVD and arcade games. The majestic forest, just moments from the ranch, provides excellent hunting which is a big draw for big game hunters. Another nice option is to hit the links at two different golf courses located nearby in Nephi and Manti. 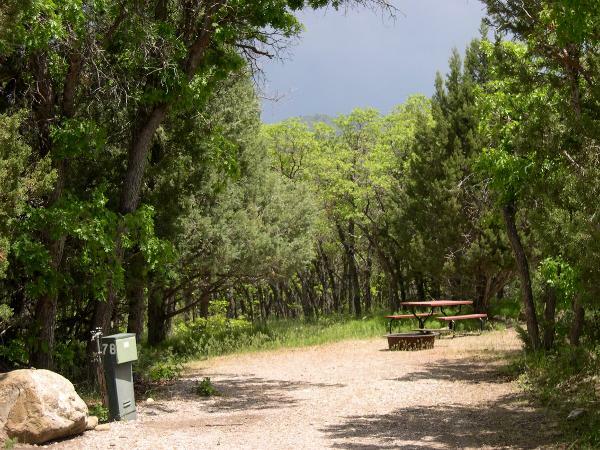 Pleasant Creek Ranch has a clubhouse with rec room, picnic tables, laundry facilities, restrooms, electrical hook-ups, water hook-ups, sewer hook-ups, Wi-Fi access, pull through sites, ATV trails, barbecue pits, tent camping and dogs allowed (restrictions may apply).